A twist on a classic macaroni salad into something new and exciting. A guaranteed hit at any Occasion specially this Christmas season. It's a family favorite that's easy to make ahead. 1. 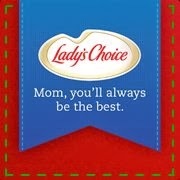 In a big bowl, mix elbow macaroni, cheddar cheese, celery, pickle relish and Lady's Choice Real Mayonnaise. Chill for 30 mins. 2. Arrange Romaine lettuce at the bottom to form Christmas leaves. 3. 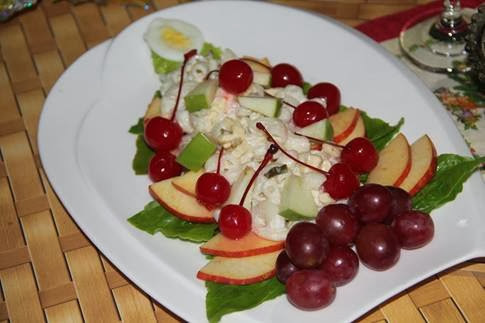 Add red apple slices on top of the lettuce, macaroni salad mix, top with cherries and green apple slices. 4. Place the Grapes below for the roots. Serve. Enjoy!